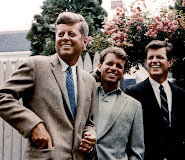 The National Archives and Records Administration and the John F. Kennedy Presidential Library are opening an additional 26 boxes of material (approximately 7,500 pages) from the Robert F. Kennedy Papers, which are housed at the Kennedy Library in Boston, MA. The Robert F. Kennedy Papers, including files from Robert F. Kennedy’s years as the Attorney General, were placed on deposit at the Kennedy Library by Mrs. Robert F. Kennedy and the Kennedy Family and are being held at the Library pursuant to a 1973 Memorandum of Agreement. The release completes the archival processing of files from Robert F. Kennedy’s years as Attorney General and has been done in collaboration with the family of Robert F. Kennedy. The records will be available in the Research Room at the Kennedy Library in Boston. The records will be available at 9 A.M. EST, on Thursday, December 5, 2013. "The National Archives is pleased to open these additional historical materials and to complete our review of the Attorney General’s records," said David S. Ferriero, Archivist of the United States. 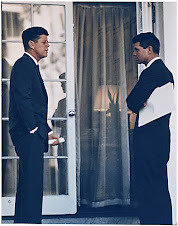 "As President Kennedy's Attorney General, closest advisor and confidant, Robert F. Kennedy played a vital role in the Kennedy Administration’s policy decisions. I know that researchers and the public will benefit from exploring these documents." The materials included in this opening consist of documents accumulated by Robert F. Kennedy in his capacity as both Attorney General and advisor to President Kennedy. These files relate to matters that come under the jurisdiction of the Justice Department as well as memos, correspondence, reports, and notes from Robert F. Kennedy’s participation in White House meetings. This opening does not include four boxes of material (box numbers 225 through 228 on the finding aid) that contain items of a purely personal nature. See background on Robert F. Kennedy [www.jfklibrary.org/JFK/The-Kennedy-Family/Robert-F-Kennedy.aspx]. The John F. Kennedy Presidential Library and Museum is dedicated to the memory of our nation's 35th president and to all those who through the art of politics seek a new and better world. Located on a 10-acre park, overlooking the sea that he loved and the city that launched him to greatness, the Library stands as a vibrant tribute to the life and times of John F. Kennedy. The Museum which portrays the life, leadership, and legacy of President Kennedy, conveys his enthusiasm for politics and public service, and illustrates the nature of the office of the President. 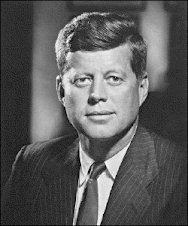 Students and scholars can also arrange to conduct research using our collection of historical materials chronicling mid-20th century politics and the life and administration of John F. Kennedy. The National Archives and Records Administration is an independent Federal agency that preserves and shares with the public records that trace the story of our nation, government, and the American people. From the Declaration of Independence to accounts of ordinary Americans, the holdings of the National Archives directly touch the lives of millions of people. 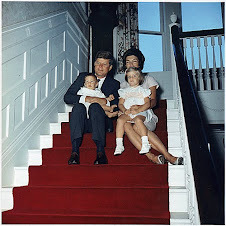 The National Archives carries out its mission through a nationwide network of archives, records centers, and Presidential Libraries, and online at www.archives.gov.